For a long time, scientists have speculated about the topographical environment of Mars. But thanks to the Mars Curiosity Rover, which has been on the red planet for more than 1,000 days, we now have the first glimpses of Mars’s sand dunes. According to NASA, the rover has begun poring over san dunes that are as high as two stories tall, and move as much as 3 feet per year on Earth. 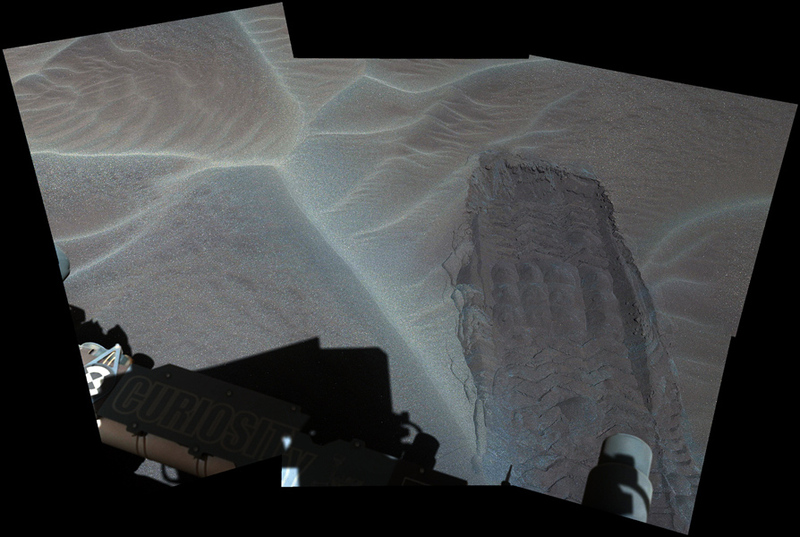 The pictures, color balanced to look like what the environment would appear under the sunlight of Earth, were taken with the Curiosity’s ‘Mastcam‘ — which stitches together separate pictures of Martian ground to create panoramas of the rover’s journey. Its current mission now is to continue progressively scaling Mount Sharp, which has its peak 18,000 feet above the northern crater floor. To put that in context, it would land just outside of the 100 tallest mountains on Earth. Not bad for a little robot.